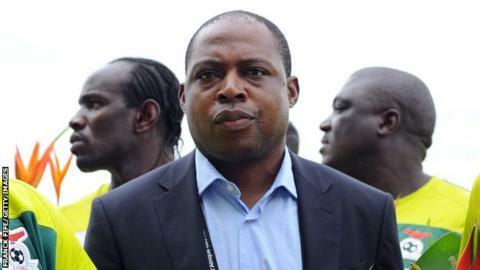 Zambian legend Kalusha Bwalya has lost his position as Football Association of Zambia (FAZ) president after being defeated by businessman Andrew Kamanga. Kamanga won the election against Bwalya by 163 to 156 votes in what many thought was an impossible task for the challenger. Bwalya, who was named the 1988 African Footballer of the Year, first joined FAZ as vice president in 2004 before being elected president four years later. He served as association president for two terms and was gunning for a third. During his tenure as president, Zambia famously won the 2012 Africa Cup of Nations trophy. "I will not turn our soccer icon Kalusha Bwalya into a villain," Kamanga said in his victory speech. "This I promise but we'll respect the laws of the land and those of football and reforms that have happened in world football and will not spare Zambia." "Football is about winning and losing. I want Zambian football to win. All the best to FAZ and the new leadership," Bwalya said.